The U.S. Navy has secured funding for the MQ-8 Fire Scout program, according to AOL Defense. 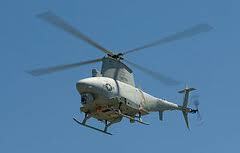 Congress allotted the Navy $191 million to buy 12 long-range variants of the helicopter-drone. Prime contractor Northrop Grumman and the Navy are working to build new C-model Fire Scouts. Mike Fuqua, Northrop’s head of business development for tactical unmanned systems, said the C models will fly at greater distances and carry more advanced sensor payloads, according to AOL Defense. Fuqua said company officials are looking to develop and integrate tactical signals intelligence payload and cargo carrying capability into the C models. He noted Northrop Grumman engineers could consider arming the new Fire Scout with an advanced precision system from BAE Systems.